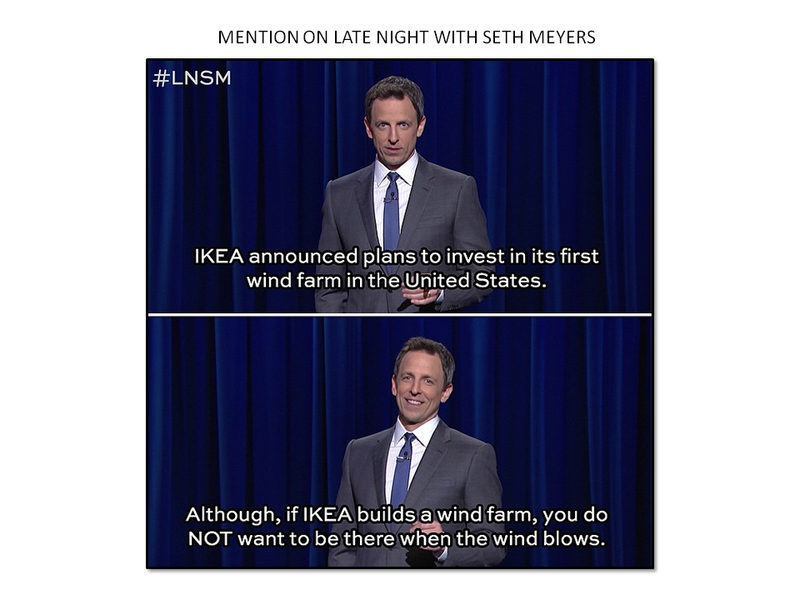 Challenge: Investing in its first American wind farm, IKEA in the United States sought to highlight its sustainability commitments and strengthen its reputation as an environmental leader worldwide. 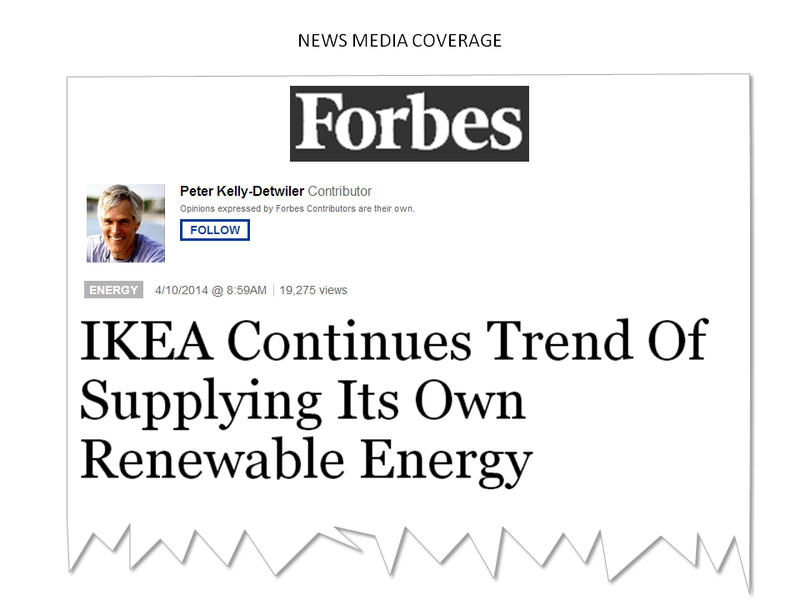 With other companies crowding the sustainability conversation, IKEA needed to differentiate its message and be perceived as a leader in the field. Approach: APCO helped IKEA leverage its relationship with Ceres (a leading non-profit advocating for sustainability leadership) to be invited to testify on Capitol Hill. 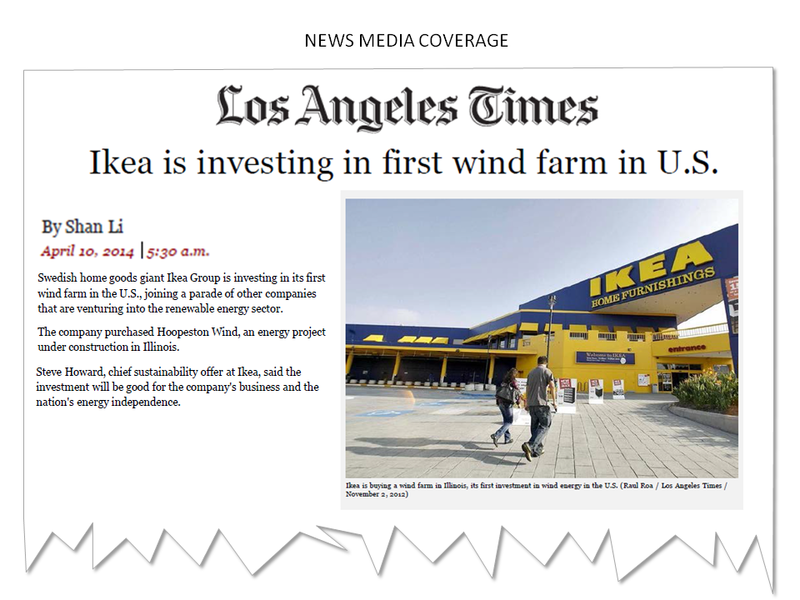 IKEA used that platform to urge policymakers to do more to address climate change, and announced its wind farm investment. APCO further promoted IKEA’s messages through strategic media relations, social media, government relations and stakeholder engagement. 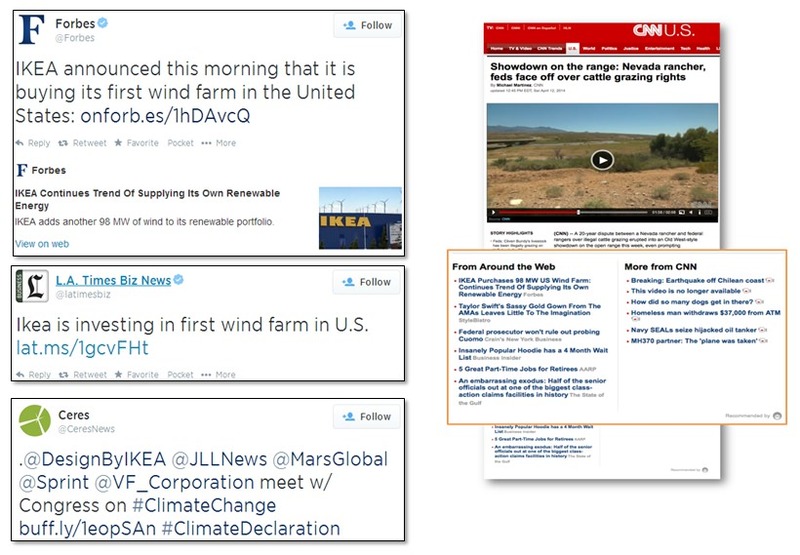 Results: APCO’s media outreach around IKEA’s announcement resulted in more than 400 print and online stories in national outlets, and local media reporting in IKEA’s top markets. 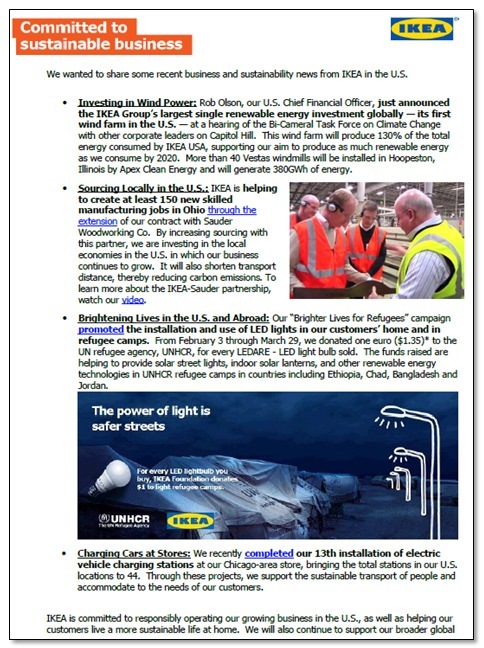 The Capitol Hill engagement and its coverage positioned IKEA as a corporate thought leader on sustainability, and built its reputation among policymakers and key stakeholders. APCO is IKEA’s corporate communication agency of record in the United States.